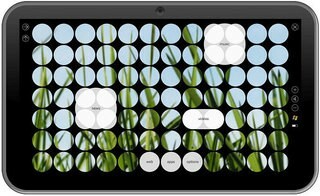 If you've been waiting for a usable Windows 7 slate, the ExoPC Slate is close to what you've been waiting for. There are some rough edges (especially in the ExoPC user interface) but the company is busy smoothing them out. It's possible to make a better Windows tablet than the ExoPC Slate, but (unless you're happy with a keyboard you have to fold out the way) no-one has done a better job yet. It's no secret that Windows 7 is not the best operating system for tablets, mainly because of its mouse-centric heritage. All the Windows-based tablets we've tested suffer from serious usability issues and most have short battery life and high price tags, to boot. The ExoPC Slate is not your typical Win 7 tablet. It covers Microsoft's desktop with an innovative custom interface that includes its own app store. Add in a high-definition 11.6-inch screen, front-facing webcam, and multiple USB ports and you have a tablet that truly stands out from the crowd. But does the ExoPC Slate's uniqueness justify its $599 asking price? We've come to look at the ExoPC itself as a bit of a conundrum and perhaps the best illustration yet of exactly why Intel and Microsoft need to do some serious work on their respective tablet offerings. Although ExoPC offers a unique and interesting touch UI on top of Windows 7 to compensate for Microsoft's lacking consumer touch features, it's not anywhere close to done, and thus requires Windows 7 to fully operate. Yet ultimately, it's Windows 7 -- and the power-hungry parts needed to run it -- that end up crippling the ExoPC the most. If it weren't for the promise of the ExoPC software layer, we'd probably write this tablet off like most of the other Win 7 slates we've seen. However, it's hard to overlook the totally unique interface and preloaded applications, as they significantly improve the Windows touch experience in a way that is unmatched by any other Windows tablet we've seen. With that said, $599 is a lot of money to bet on a platform that isn't ready and a piece of hardware that must be plugged into the wall for the better part of the day. Visit the ExoPC Q&A Forum to get answers, ask a question or help others.